More and more Android phones will adopt 3D sensing tech this year, but what about Samsung? Samsung's next big cat is completely out of the bag now that the full specs of the Galaxy S10 and S10+ are laid out in the open, confirming almost every single recent rumor. But even though we have a great deal to be excited about here, it's a little disappointing to see no mention of 3D facial recognition technology. 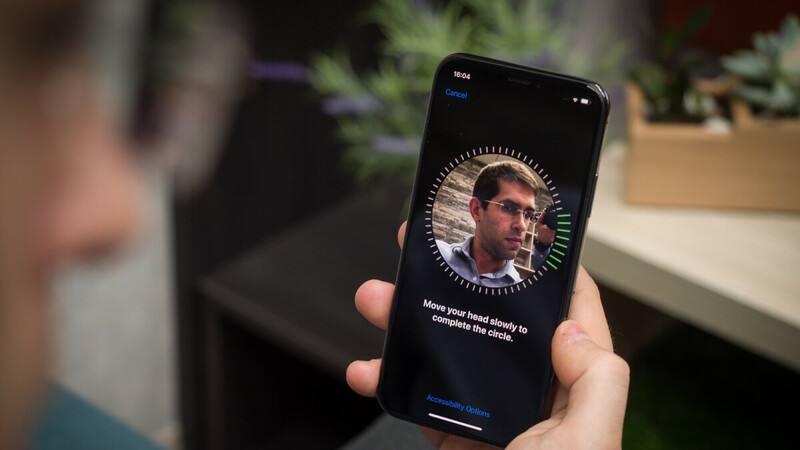 While late to the party, the likes of Huawei, Xiaomi, and Oppo have been making serious efforts over the past year or so to catch up to Apple and its iPhone X-introduced Face ID feature. According to a new Digitimes report, global shipments of Android handsets integrating various forms of 3D sensing functionality are likely to "boom" in 2019, thanks primarily to the work of the same aforementioned smartphone manufacturers. Oppo even went a step forward not long ago, unveiling the world's first mobile device with a rear-mounted time-of-flight (ToF) sensor. This groundbreaking tech, which is mainly used in advanced AR (augmented reality) scenarios requiring precision and reliability, is expected to rapidly expand this year, powering a grand total of around 20 million phones sold by Oppo, Huawei, Xiaomi, and Vivo. Apple's 2019 iPhones have been repeatedly tipped to sport rear-facing TrueDepth cameras in addition to the face-scanning 3D sensors housed by the iPhone X, XS, XS Max, and XR notch, which are actually not powered by the super-complex ToF technology. But although we heard similar whispers about a 5G-capable Galaxy S10 variant with a whopping four rear shooters in tow, Digitimes seems to suggest that's not happening. Today's report ignores Samsung altogether, which either means the company has no immediate plans for 3D sensing adoption or simply that these intentions are being neatly kept under wraps. Believe it or not, other brands could soon launch "mid-tier to high-end models" with 3D sensors as well, although that's definitely unlikely to happen as far as "back-end" ToF solutions are concerned. Still, it would be very cool to see mid-rangers offer state-of-the-art Face ID-style biometric authentication functionality. The in display fingerprint scanner will be the death of facial security. Hopefully OEM's quit spending time and resources on this less secure technology. You are propably wrong. Future is in where you don't physically need to touch anywhere, when product do things for you before you even notice. Facial recognition does exactly that. I'm noticing the big difference when i use my iPad and iPhone. I got used to fact that my iPhone just do things before i notice. Filling passwords online, opening bank app. Opening apps like new updated whatsapp app with facial lock and more apps will get the same treatment because it's like invisible lock. You don't need to do any extra to use it unlike with fingerprint scanner. Except when you unlock your phone or buy stuff where it can't be automatic. All those happening immediately. After work i go home and use my iPad and i'm noticing how many times i have to reach to that home button to use fingerprint scanner because it doesn't do anything automaticly, many times i just wait little bit because i forget that i actually have to use my finger. When the rest of the GUI is touch one more touch for a more secure device I know which one I will choose. And I use my Iris scanner so I have the best of both worlds on my Note 8. Even though I am guessing the iris scanner is no more this year. You have got to use an iPhone at least for a week to understand what midan is talking about. The future is AI. When using force, both the fingerprint and the face are useless, but things change when we are talking about the human behavior (you can be forced to look into your Face ID to unlock the phone when you have a gun on your head, but the same gun is useless when the phone senses fear or a threat and refuses to unlock) - think about MI5. I’m never letting go of Face ID. Everything is done at a glance. Do sensors regardless of how implemented would be a step backwards. Oh my G. It’s so true, you pick up a phone that doesn’t have Face ID and you’re stumped why nothing is happening. I have my lock screen set up with notifications so most of the time I don’t need to go into the home screen (only when I need to launch an app). I just tap anywhere on screen and information shows up - and if you did that to my phone - you won’t see anything - information only shows up when phone sees my face - so so convinient. Any fingerprint scanner would be such a huge step backwards. Especially in the cold if you’re wearing gloves or while swimming in water, or while working with dirty hands. Nah - you cannot sell me a device with fp sensor (even behind screen). Face ID is clear winner - screw the haters - they have no idea. And what about who spend a lot of time at work with their face covered such as myself? Samsung should better make their efforts towards hiding the iris scanner under the display. Facial recognition is proved unsafe.Fingerprint continues the more secure to unlock the cell. Yeah I’m not sure how many iPhone X, XS, XSMax are sold by now, but if it was less secure than fp sensor it would have hit every headline and articles would keep flowing in about that - I have not once had anyone who tried to unlock my X been successful (not even my dad who looks extremely like me). If there’s a possibility - it’s extremely rare (and I beleive Apple did acknowledge that in their presentation). Sorry bro, but statistics does not agree with you. Fingerprint is just vastly more convenient and will return to Apple in a year or so. There is just no need for 3d facial recognition unless it's for other purposes like AR or such (AR is slowing down anyway just like mobile VR). Just try using Apple Pay without a fingerprint reader...it's just awkward to say the least. I think we should have both: Facial and Fingerprint recognition enabled at once. This should make things convenient for more people and in more scenarios.